Harry Redknapp has dismissed Adel Taarabt’s claims that he does not take an active role in training as the row between the pair rumbles on. The spat began when Redknapp claimed playmaker Taarabt was “three stone overweight” and not fit enough to be selected for QPR. 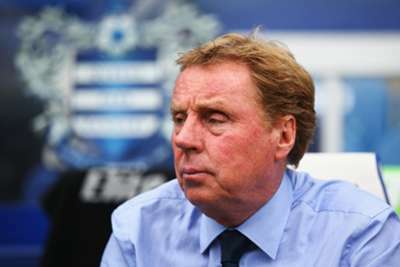 Taarabt responded angrily, suggesting Redknapp rarely takes training, a claim that the QPR boss strongly denied in a media conference on Saturday. “I’m the first one out there every single day,” he said. “From the start of training, to the finish. “Any day of the week when the players come out, I’m out there all morning. That is a blatant lie. I think it might be someone else trying to be mischievous telling him what to say. “The only person who can help him is Adel himself. I still believe in him. I love watching him on the football pitch. “I want him to come and train hard and get back in the team, we need him. I’d be delighted if we could get him back fit and playing. He needs to produce. He could be an incredible footballer. “I’ve had more ups than I have downs with Adel. I love his ability and talent. I just want him back to his best. “He’s been ill this week but he wants to train this morning and we’ll get him in shape as quickly as possible. Redknapp said that Taarabt will not be fit in time for Monday’s Premier League clash with Aston Villa at Lofus Road. Nedum Onuoha (hamstring) and Sandro (groin) are doubts, with Jordon Mutch and Joey Barton (both hamstring) still unavailable.